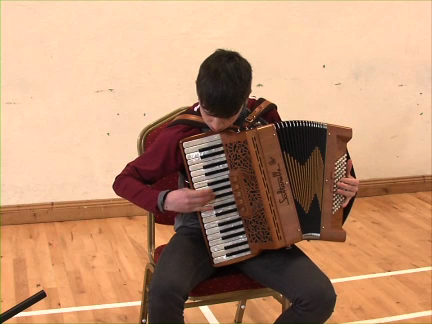 Fergal O’ Connor from Limerick who took 1st place in 12-15 piano accordion competition at Fleadh Cheoil na hÉireann 2017 in Ennis, Co. Clare, plays a Reel - “Dowd’s reel”. Recorded at a session in Freemount, Co. Cork, on 11/3/18. Fergal is a member of Freemount Pléaracha Group - All-Ireland champions 2018.